Repetitive monomorphic ventricular tachycardia (RMVT) is an uncommon type of ventricular tachycardia that tends to occur in young people whose hearts are otherwise normal. This is in stark contrast to the usual kind of ventricular tachycardia, which is most often seen in older people who have coronary artery disease or heart failure. The most common symptoms caused by RMVT are palpitations and dizziness. More rarely, syncope (loss of consciousness) can also occur. Fortunately, the risk of cardiac arrest and sudden death with RMVT appears to be quite low. The ventricular tachycardia associated with RMVT can be triggered by situations in which adrenalin levels are elevated. So, people with RMVT are most likely to experience symptoms with exercise (in particular, during the warm-down period immediately following exercise), or during periods of severe emotional stress. In fact, stress testing — which will often reproduce the arrhythmia — is a reliable way of diagnosing RMVT. RMVT is seen almost exclusively in people under 40 or 45 years of age, and it seems to be especially prominent in athletes. 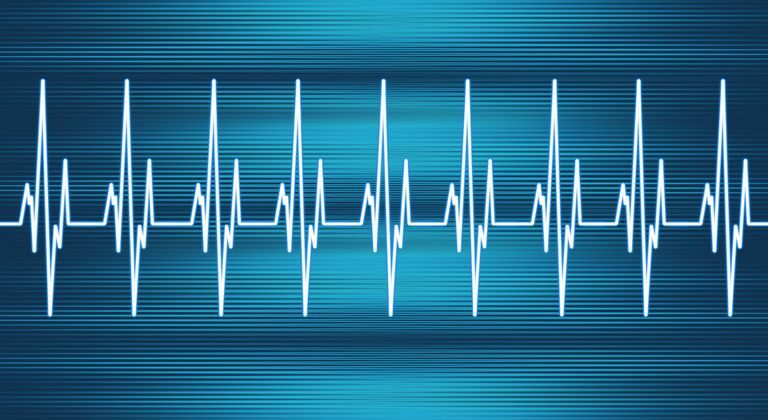 Some experts have speculated that many non-athletes who are born with the propensity for RMVT simply never produce the high levels of physical stress that are sometimes needed to trigger these arrhythmias. While an underlying genetic cause seems likely, this has not been proven. Treatment of RMVT can be accomplished either with medical therapy or with ablation therapy. Implantable defibrillators are only rarely appropriate in RMVT, since the risk of sudden death is low. Fortunately, RMVT can often be controlled with a calcium blocker (verapamil) or with beta blockers (such as propranolol) — drugs that tend to produce relatively few side effects. If these drugs do not provide sufficient suppression of ventricular tachycardia, the use of more powerful antiarrhythmic drugs can be considered, although these drugs tend to cause much more toxicity. In most patients with RMVT, the ventricular tachycardia originates in a localized area in the upper portion of the right ventricle, just below the pulmonic valve. In a few patients who have RMVT, the arrhythmia comes from a similar location in the left ventricle — that is, just below the aortic valve. In either case, the fact that the arrhythmia's origin can be isolated to a particular location makes RMVT amenable to ablation therapy. Successful ablation of RMVT can be achieved in more than 90% of patients with this condition. Given these treatment options, most experts will first attempt to treat a patient with RMVT using verapamil and/or a beta blocker. If that is not successful, ablation therapy is usually considered to be the next step. One way or the other, with good medical care the arrhythmias associated with RMVT can usually be controlled or eliminated. RMVT is a particular type of ventricular tachycardia seen in otherwise healthy young people — particularly in athletes. While the risk of death from RMVT appears to be quite low, this arrhythmia can be disruptive to a person’s life. Fortunately, with appropriate therapy, it can be controlled or eliminated. Fogoros RN, Mandrola JM. Ablation of PVCs and Ventricular Tachycardia. In: Fogoros’ Electrophysiologic Testing, 6th, John Wiley & Sons, Oxford, 2017. Klein LS, Shih HT, Hackett FK, et al. Radiofrequency Catheter Ablation Of Ventricular Tachycardia In Patients Without Structural Heart Disease. Circulation 1992; 85:1666. Prystowsky EN, Padanilam BJ, Joshi S, et al. Ventricular Arrhythmias In The Absence Of Structural Heart Disease. Journal of the American College of Cardiology 2012;59:1733-1744.